In this video I show the end result of my “Smart Wand” project. Originally inspired by the interactive wands from Universal’s Wizarding World of Harry Potter, this project lets you control your smart home devices by moving your wand in a pattern corresponding to the desired spell. While originally inspired by a trip to Universal, I actually put in the effort of creating it for my son’s Harry Potter themed birthday party (hence the secret message in the video). For the birthday party we had two wand stations working where the kids cast various spells to perform magic such as playing a song, changing the lights, turning on a fountain, and popping popcorn. The project uses various types of fun technology including: 3D printing, Raspberry Pi Zero W, Raspberry Pi NoIR Camera, Home Assistant, and Python. This is part 2 of the Smart Home Magic Wand series which focuses on the WiFi streaming IR camera / emitter. This is what will emit IR light out to the wand and read the reflected IR light back from the tip of the wand. Part 1 gives more background on the project and discusses the wand in depth. 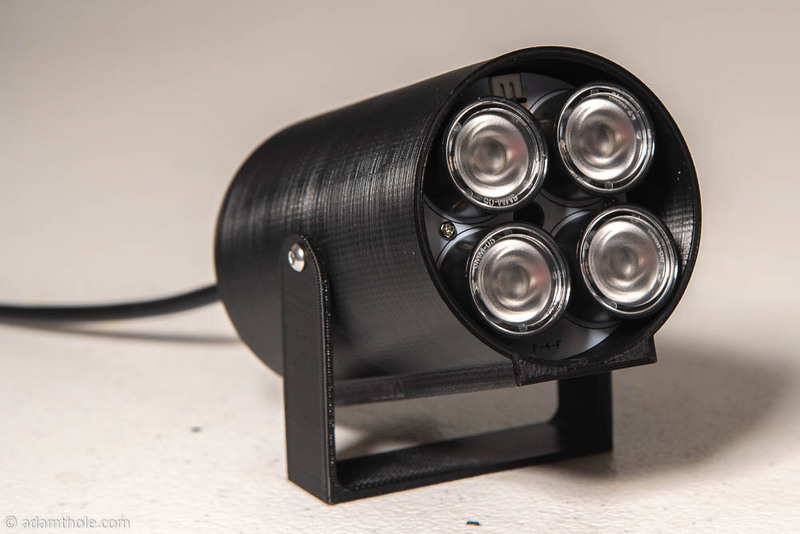 This IR Camera system combines a Raspberry Pi Zero W, a Pi NoIR Camera V2, an IR filter, IR lights, and a 3D printed case to create a WiFi streaming IR camera that will be used as the input to the software that will be discussed in Part 3. One of the features of the Wizarding World of Harry Potter at Universal Studios theme park is “Interactive Wands” where you are able to move a special “Interactive Wand” to control various objects around the park. This feature is a lot of fun, and is where the original idea for this project came from. My son requested a Harry Potter themed birthday party for his most recent birthday, which is the event that caused me to actually create this project. The interactive wand feature at the Wizarding World of Harry Potter seems to work by having IR lights that shine towards you, having that light reflect off your wand tip, and using an IR camera to to track the reflected light / the movement of the wand. This movement data is then processed by something behind the scenes and if that movement data corresponds to the defined spell the action is performed. My version of this system consists of three parts: The Wand, The IR Light / Camera, and the processing software. I’ll write a post for each part. This one will cover the wand. 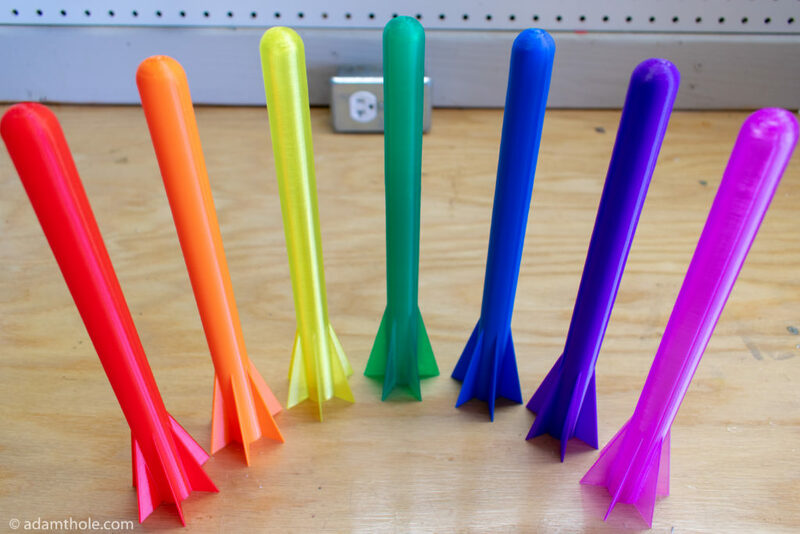 For my 3 year old son’s birthday last year he received a “Stomp Rocket Ultra” kit. The kit was awesome, and we had a great time. Eventually we wore the rockets out, so I decided to design a model we could use to 3D print more. It was a big hit, and we have since printed countless rockets.